An extreme space weather event on May 23, 1967 almost led to a nuclear war between the United States and the Soviet Union. 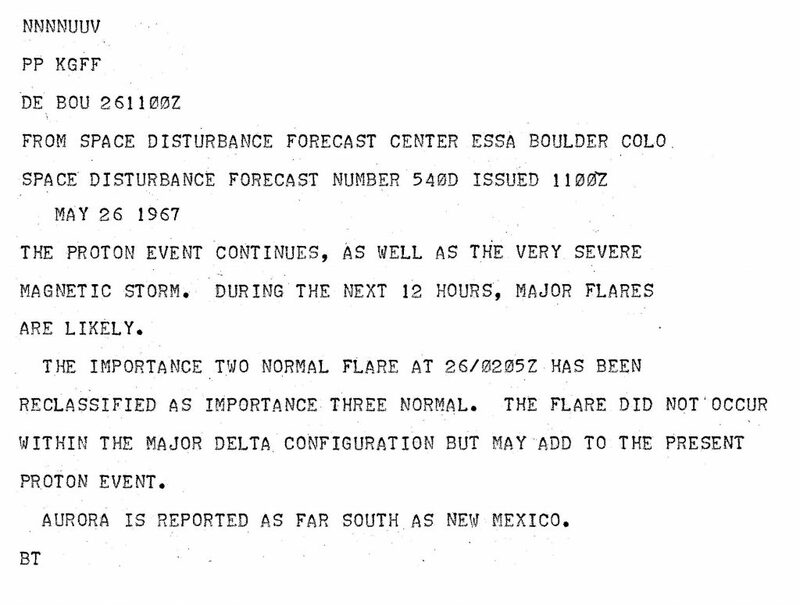 This almost cataclysmic event led the military to recognize space weather as an operational concern. 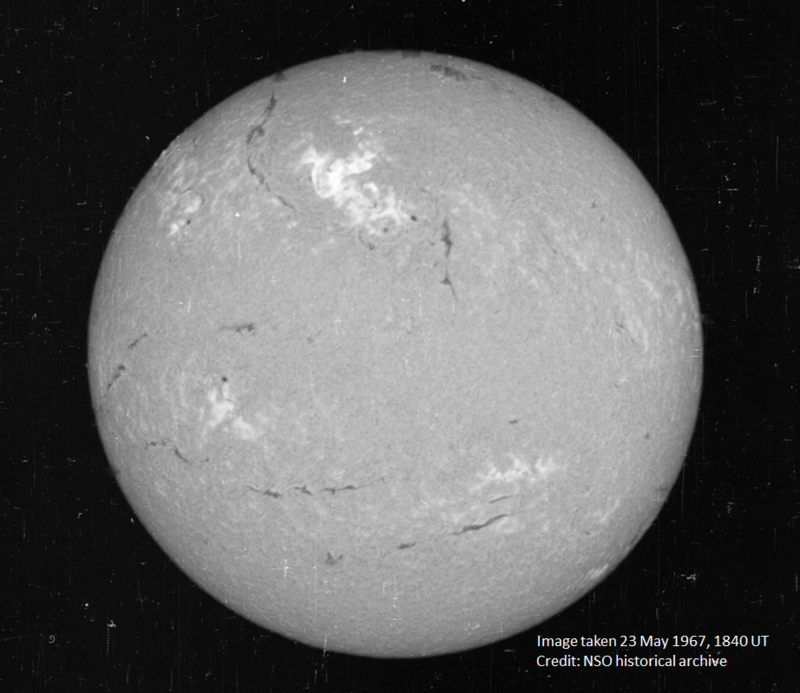 Although listed as one of the most significant events of the last 80 years, the space weather storm of late May 1967 has been of mostly fading academic interest. The storm made its initial mark with a colossal solar radio burst causing radio interference at frequencies between 0.01 – 9.0 GHz and near-simultaneous disruptions of dayside radio communication by intense fluxes of ionizing solar X-rays. Within hours, a solar energetic particle event disrupted high-frequency communication in the polar cap. Subsequently, record-setting geomagnetic and ionospheric storms compounded the disruptions. This story develops during the rapid rise of Solar Cycle 20 and the intense Cold War in the latter half of the 20th Century. Authors detail the events of late May 1967 in the intersecting categories of solar-terrestrial interactions and the political-military backdrop of the Cold War. This was one of the “Great Storms” of the 20th century. 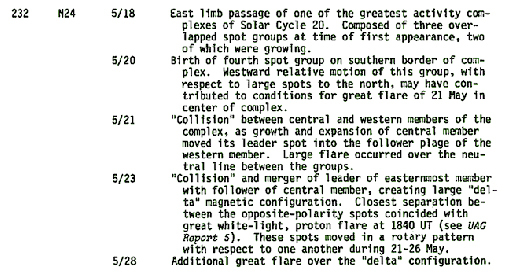 On May 18, 1967, an unusually large group of sunspots with intense magnetic fields appeared on the Sun. 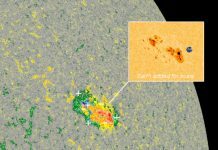 On May 23, observatories in New Mexico and Colorado saw a flare visible to the naked eye while a solar radio observatory in Massachusetts reported the Sun was emitting unprecedented levels of radio waves. 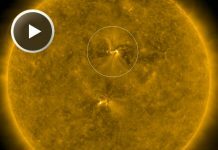 A significant worldwide geomagnetic storm was forecast to occur within 36 – 48 hours, according to a bulletin from NORAD’s Solar Forecast Center in Colorado Springs, Colorado on May 23. 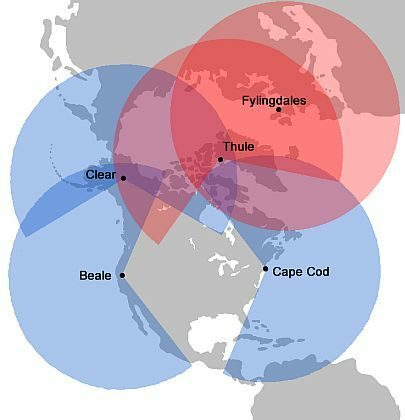 As the solar flare event unfolded on May 23, radars at all three Ballistic Missile Early Warning System (BMEWS) sites in the far northern hemisphere were disrupted. The radars, designed to detect incoming Soviet missiles, appeared to be jammed, which, if true, would be considered as an act of war. The Air Force prepared aircraft for war, thinking the nation’s surveillance radars in polar regions were being jammed by the Soviet Union. Just in time, military space weather forecasters conveyed information about the solar storm’s potential to disrupt radar and radio communications. The planes remained on the ground and the U.S. avoided a potential nuclear weapon exchange with the Soviet Union. The geomagnetic storm, which began about 40 hours after the solar flare and radio bursts, went on to disrupt U.S. radio communications in almost every conceivable way for almost a week. It was so strong that the Northern Lights, usually only seen in or near the Arctic Circle, were visible as far south as New Mexico. 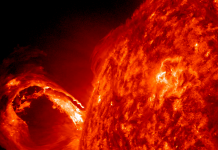 A report of solar activity on May 26 from the Space Disturbance Forecast Center, a civilian forecasting center at the Environmental Science Services Administration (now NOAA). Credit: ESSA/NOAA.